How to remove unnecessary fields in PDF version? The major problem is that there's a risk of signature becoming separated from the update form, since it is now pushed to a second page. You can customize to what field to show and hide in the PDF version by following the guide below. 1. 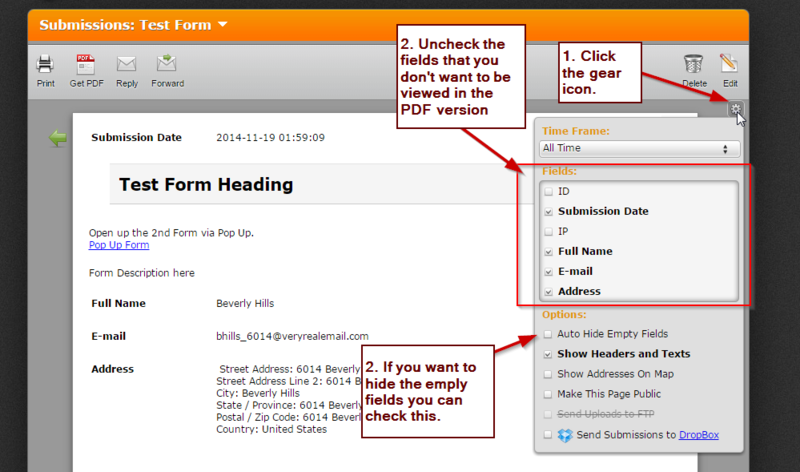 Navigate to "My Forms"->Choose the form you want to edit->Click "Submissions"
2. On the Submissions setting, click the gear icon on the right, it will show you the settings for submissions. Check or un-check fields that you want to display.